There are many unsolved mysteries and common misconceptions, and it can be very frustrating not being able to get to the truth of an issue. Whether it is an urban myth or an old wives’ tale, there are thousands of things that peak our interest and grab our curiosity every day, and not knowing whether it is factual or not can be both good and bad. 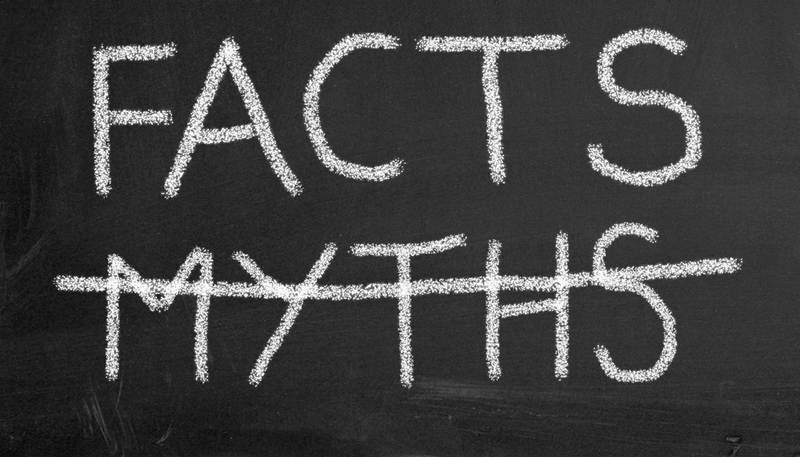 Though many people may not know this, there are many myths when it comes to your smile. Your smile is something you should never be unsure about, and we would like to clear up and debunk a few dental myths you may be pondering over! One of the most common dental myths that people are not sure about is whether or not bleaching your smile makes your teeth weaker. Fortunately for those wishing for a whiter, brighter smile, this myth is completely false. When you get your smile whitened, the only thing the whitening gel affects is the color of your teeth; it does not compromise the health or strength of your smile. Although tooth sensitivity and gum irritation is normal after having your smile whitened, the tooth itself is not compromised. Not brushing your teeth when your gums are bleeding is another dental myth that can be laid to rest. Though it seems like a good idea not to brush your teeth when your gums are bleeding, it cannot be further from the truth. When you have bleeding gums, it is a sign of plaque and food particles irritating your gums. The best thing to do when this happens is to remove them in order to stop the bleeding. It is always important to keep yourself as well-informed as possible regarding anything, but especially your smile! When your smile is healthy, your body is healthy, and that is definitely something to smile about!